A visit to the local bookstore will reveal a whole shelf of books on angel encounters, angel channeling, and angelology. There’s even a book called The Physics of Angels which tries to blend quirky physics theories with the theology of St Thomas Aquinas. A quick look at the books on offer make you realize that the New Age understanding of angels stretches from “listening to the light within” to the fully fledged summoning up of the “dark angels” — in other words, modern angelology is the stuff of fantasy, neo-gnosticism and a rather nasty occult religion. In the face of this phenomenon, Catholics might be inclined to steer clear of angels altogether, but that would be to throw the angel out with the exorcism. The Catechism of the Catholic Church and the Sacred Scriptures remind us that angels have been part of our revealed religion from the beginning. It is an article of the Catholic faith that angels are real. 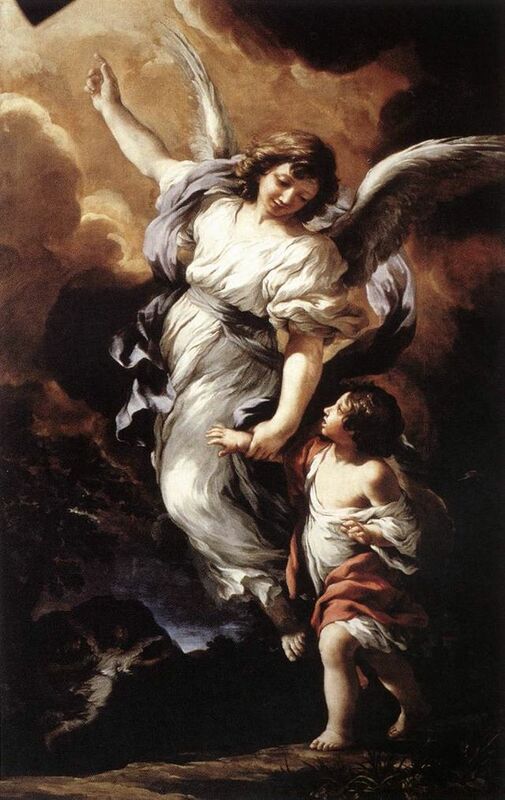 The Catechism of the Catholic Church says, ‘The existence of the spiritual, non-corporeal beings that Sacred Scripture usually calls ‘angels’ is a truth of faith. 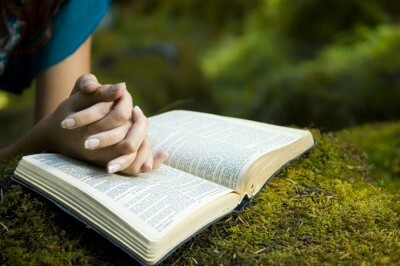 The witness of Scripture is as clear as the unanimity of Tradition.” (CCC ¶ 328) Other Christians agree. A survey amongst non-Catholic, Christian denominations discovered that most Christian denominations agree with the Catholic Church on the basics about angels. They all agreed that angels are created by God. They dwell in His presence. They are sent as His messengers to earth. They are of superior intelligence. They have no bodies, but can take visible form. They also agree that while there are good angels, there also exists a band of fallen angels who have similar powers, but have twisted their energies against the good. The best way of recognizing good angels is to understand their role in the economy of redemption. To do this we need to know and understand not only that angels are real, but how they have interacted with the human race down through history. To do this we have to look at the biblical record. Angels appear in the Bible story from the first pages of Genesis right through to the final pages of the Book of Revelation. But it is Jacob’s dream of angels ascending to and descending from heaven that gives us the best picture of the role of angels. 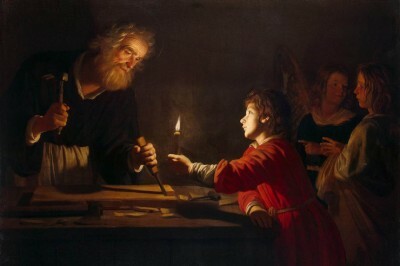 We learn from Jacob’s dream that angels are messengers of heaven. They communicate between heaven and earth at God’s command for the benefit of human beings. Continuously through Scripture the angels protect, lead and guide God’s people. In the New Testament, the angels are integral to the mystery of the Incarnation. They are present to give God’s message of the incarnation, first to the Blessed Virgin Mary, then to Zachariah, then to Joseph, finally to the shepherds. During Jesus’ life, they were there at his conception, his birth and his trial in the wilderness. They strengthened him in the Garden of Gethsemane and were present to proclaim his resurrection. An angel delivers Peter from prison and angels surround the throne of God in John’s heavenly vision in the Book of Revelation. Angels fulfill three roles in the Scripture and these roles help us to understand their proper role in our spiritual lives. The word angel comes from the Greek word angelos which means “messenger,” and all through the Scriptural account the angels were God’s messengers to mankind. In each situation, the angels were not only God’s messengers, but they were also channels of peace and joy. In every instance they serve God and point back to his glory. They do so because they are creatures of praise. So angels proclaim and they praise. Thirdly, the angels are sent by God as our spiritual guardians. The Archangel Michael is the protector of Israel (Daniel 10:13; Revelation 12:7) and Jesus himself affirmed that we all have our guardian angels (Matthew 18:10). The angels are there to encourage us in our Christian life. The writer to the Hebrews calls them, “ministering spirits sent forth for the sake of those who will obtain salvation” (Hebrews 1:14). These three roles of the angels — messengers, worshippers and guardian-guides — reveal the proper ways for us to interact with the angels. First, the angels’ whole existence is to praise and worship God and do his bidding. So we work with the angels when we enter into worship. In worship we sing with the angels in heaven; “Holy, Holy, Holy Lord God of hosts.” With the angels of the Nativity we sing “Glory to God in the Highest.” Whenever we worship we are working with the angels. We are coming alongside them, and they are joining with us in the worship of the ages — the cosmic liturgy of the Lamb. Secondly, we work with the angels whenever we proclaim God’s message. The angels’ message always points to Christ. Throughout the Scriptures the message of the angels was interwoven with the coming of Christ; either in the Old Testament salvation history or in the New Testament gospel account. The two-fold task is expressed in the phrase, “Glory to God in the Highest and Peace to his people on earth.” In the first phrase we praise, in the second we proclaim peace to his people on earth. Proclaiming the gospel with our words and in our lives is the second way we work with the angels. The third way we work with the angels is to ask for their protection, guidance and help. This is where Christian practice sounds a bit similar to New Age practice. But there are some important differences. We do not ask the angels to help us “affirm the God that is within us” like New Age religion does. Neither do we summon the angels and open our lives to them. We are not to “channel” our angel. The Holy Spirit may dwell within our hearts, but angels don’t. They guide and guard us by walking beside and before us. In this respect it is especially good to invoke St. Michael and our guardian angel. When we are in a time of danger or temptation we can ask their help as we would ask the help of an experienced guide while climbing a mountain. However, we are not to “name our angel” or treat the guardian angel like some sort of familiar spirit or pet. They are greater and more magnificent than that! Praise and Proclamation and Protection may not seem quite as exciting as “listening to the light within”, channeling your angel or summoning up dark spirits, but our faith is incarnational. The child in the manger reminds us that Christianity is real and practical — not esoteric and otherworldly. We have real bodies and live in a real physical world, and our religion does not help us to escape this, but to enter into it more fully. The angels respect and admire our physical bodies. They love our physicality because their Lord took on human flesh and was born of a woman. Angels do not wish for us to go above the physical and ordinary things of life. They know that it is in flesh and blood and sweat and tears that we find God. And it is in this dust and dirt of ordinary prayer, and pleas for protection that we co-operate most powerfully with the angels in heaven and make the simple story of Christmas and Easter come alive in our lives. Fr. Dwight Longenecker is the parish priest of Our Lady of the Rosary Church in Greenville, South Carolina. He conducts parish missions, retreats and speaks at conferences across the USA. His latest book is The Romance of Religion - Fighting for Truth, Goodness and Beauty. Visit his blog, listen to his radio show, and browse his books at dwightlongenecker.com. Catechesis teaches us what to believe and how to behave, but Catholics also need down to earth advice for putting their faith into action. 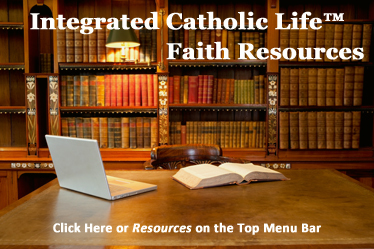 For help in your practice of the Catholic faith sign up for FaithWorks! -- Fr Longenecker's free, weekly newsletter on the practical practice of the Catholic faith. Visit Fr. Longenecker on Facebook: http://www.facebook.com/frlongenecker. Fr. Dwight Longenecker is an American who has spent most of his life living and working in England. Fr Dwight was brought up in an Evangelical home in Pennsylvania. After graduating from the fundamentalist Bob Jones University with a degree in Speech and English, he went to study theology at Oxford University. He was eventually ordained as an Anglican priest and served as a curate, a school chaplain in Cambridge and a country parson. Realizing that he and the Anglican Church were on divergent paths, in 1995 Fr. Dwight and his family were received into the Catholic Church. He spent the next ten years working as a freelance Catholic writer, contributing to over twenty-five magazines, papers and journals in Britain, Ireland and the USA. Fr. Dwight is the editor of a best-selling book of English conversion stories called The Path to Rome - Modern Journeys to the Catholic Faith. He has written Listen My Son - a daily Benedictine devotional book which applies the Rule of St Benedict to the task of modern parenting. St Benedict and St Thérèse is a study of the lives and thought of two of the most popular saints. In the field of Catholic apologetics, Fr. Dwight wrote Challenging Catholics with John Martin, the former editor of the Church of England Newspaper. More Christianity is a straightforward and popular explanation of the Catholic faith for Evangelical Christians. Friendly and non-confrontational, it invites the reader to move from 'Mere Christianity' to 'More Christianity'. Mary-A Catholic Evangelical Debate is a debate with an old Bob Jones friend David Gustafson who is now an Evangelical Episcopalian. Fr. Dwight’s Adventures in Orthodoxy is described as ‘a Chestertonian romp through the Apostles’ Creed.’ He wrote Christianity Pure&Simple which was published by the Catholic Truth Society in England and Sophia Institute Press in the USA. He has also published How to Be an Ordinary Hero and his book Praying the Rosary for Inner Healing was published by Our Sunday Visitor in May 2008. His latest books are The Gargoyle Code - a book in the tradition of Screwtape Letters and a book of poems called A Sudden Certainty, Adventures in Orthodoxy and The Romance of Religion. Fr. Dwight has contributed a chapter to the third volume of the best selling Surprised by Truth series and is a regular contributor to Crisis Magazine, St Austin Review, This Rock, Our Sunday Visitor and National Catholic Register. Fr. Dwight has also written a couple of children’s books, had three of his screenplays produced, and is finishing his first novel. He’s working on a book on angels and his autobiography: There and Back Again. In 2006 Fr. Dwight accepted a post as Chaplain to St Joseph’s Catholic School in Greenville, South Carolina. This brought him and his family back, not only to his hometown, but also to the American Bible belt, and hometown of Bob Jones University. In December 2006 he was ordained as a Catholic priest under the special pastoral provision for married former Anglican clergy. He is the Administrator of Our Lady of the Rosary Church in Greenville, South Carolina, and an oblate of Belmont Abbey. Fr. Dwight enjoys movies, blogging, books, and visiting Benedictine monasteries. He’s married to Alison. They have four children, named Benedict, Madeleine, Theodore and Elias. They live in Greenville, South Carolina with a black Labrador named Anna, a chocolate lab called Felicity, cat named James and various other pets.